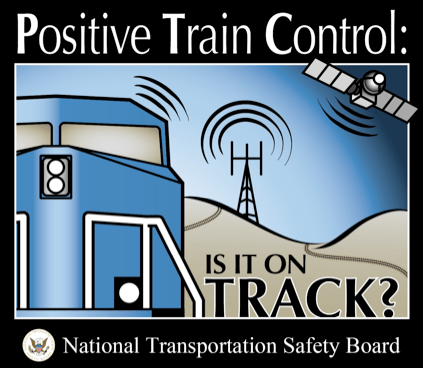 The National Transportation Safety Board, whose current chair, Deborah Hersman, is the reported frontrunner to replace Ray LaHood as transportation secretary, is the federal agency charged with “assisting victims of transportation accidents and their families.” These are the people who investigate every single plane or passenger train crash. Each year there are tens of thousands of fatalities on the nation’s highways. A disproportionate of those are non-motorized users — bicyclists and pedestrians. Given that the NTSB has made over 13,000 safety recommendations, you might think at least some of those would relate to the dismal state of our bicycle infrastructure, right? A search of the NTSB online database finds hardly any mention of bike safety. I could find just a single report, which simply gives general guidance that the use of bicycles should be encouraged by the DOT and Dept. of Health. It was issued in 1972 — during the Nixon Administration. Design of car doors to reduce/eliminate bicycle “dooring” (perhaps an interlock system in the door latch that flashes the rear hazard lights for at least 3 seconds before opening the door). Improve visibility from truck cabs, so as to reduce bikes/ped collisions. Designing car bonnets to reduce pedestrian injury/fatality in a collision. Here’s a question: How many cyclists would have to die to earn same attention NTSB gives to one person killed on a plane? Elsewhere on the Network today: The Green Miles asks you to imagine if your street belonged to children on Saturdays. Human Transit considers the practicality of free public transit in the United States. And Rebuilding Place in the Urban Space questions whether there is any “moral order” among motorists. To be fair, the cycling advocacy groups aren’t a whole lot better. You mostly hear the same old tired mantra of “wear a helmet and obey the law” as the first and last words on riding a bike safely. Nothing on defensive riding, nothing on bike handling, frankly nothing at all which is likely to actually be useful in the real world. Regarding car doors, I think a complete redesign is in order, starting with the requirement that an open or opening door not protrude further than six inches from the vehicle. So long as that requirement is met, the actual design of the door would be entirely up to the auto manufacturers. And flashing lights would still be a good idea to warn of a possible passenger exiting the vehicle. At least with unobtrusive doors the cyclist might only hit a person, not a hunk of hard metal. Trucks should have cameras to cover all blind spots. Designing a truck cab with full visibility is probably close to impossible although we can do better. Let’s make cab-overs mandatory for starters, even if the truckers would be resistant to it at first. Thanks for bringing this up, Angie. I hope NTSB is paying attention. The NTSB should recommend that new drivers be taught to open the driver’s side door using their right hand, if possible. Using the right hand to open the door adds a little twist to the driver’s body or head turning it a little counter-clockwise. Just that little twist may put a bicyclist (or auto) into their field of vision, even if in only the corner of their eye, maybe enough of a check. This has the optics of the Pentagon Papers. The NTSB does not set policy. It investigates MAJOR transportation accidents and makes policy recommendations. I’m not saying that bike safety is important, but the majority of the incidents the board deals with involve large numbers of fatalities and property damage. I would imagine they simply don’t have the resources or interest in looking at single-car-versus-single-bike accidents of the type that would be helped by the recommendations advocated here. Not saying that bike safety ISN’T important, rather. So, in order for the NTSB (ironically, the “S” stands for “safety”) to give you any legitimacy, there must be an investigation as to causality, and the event must be ruled as accidental. Or, they’re just reckless with the lingo. But at about 100 deaths per day (by far the top killer of all Americans under age 40) every day for the last 60 years – when does a series of small wrecks warrant investigation? I say that threshold has been met, and it’s time NTSB do onto automobiles as they do onto airplanes. People say their Toyota Camry “lost control”? OK – ground the fleet till a full investigation assigns fault to either the driver or the car. @c44dc01f8107c1b33104b538f33b734d:disqus Grounding a fleet of airplanes is an extremely rare event, only done when there is immediate reasonable (within airplane safety context, which is orders of magnitude higher than that of cars or trains) risk of catastrophic failures (e.g., one that will bring a plane down). This being said, there should be more stringent regulations about recalls. Vehicles that don’t replace parts that are critical for the safety of car operation (such as brake or steering components, seat belt triggers, things that cause fires) should be considered not road-worthy after no more than a few weeks. NTSB doesn’t investigate criminal aspects of deliberate crashes, such as terroristic use of vehicles, suicides etc. Matter of fact is: bike paths should be placed between parking lane and sidewalk, be segregated physically and spaced with enough clearance a door can be opened without intruding over it. The space between moving cars and parking lanes is a very bad place for bike lanes (let alone the pathetic sharrows), since it is impossible even for the most attentive car driver not to have blind spots for bikes when maneuvering there. The design should would work well on any shape car. @andrelot:disqus let me clarify. Immediately after a train goes off the rails or an airplane falls from the sky, words like “event”, “wreck”, “tragedy” or many others are legitimate words to describe the incident. One word should not be used – until there has been a competent fact finding investigation, analysis as to causality, and conclusion as to fault (mechanical failure? human error? etc.). That word is “accident”. Accident implies the event/wreck/collision/crash was not preventable, and nobody was at fault. I’m pretty sure however very few events investigated by NTSB result in a finding that what happened was an accident. @andrelot:disqus I was being snarky. Let me clarify. With the consistently high death toll exacted on the populace by drivers, we as a society are clearly not doing the right things to reduce the death toll. 2) Car companies, tired of having their names smeared, would side with victims on bringing reforms to vehicular violence. They would be quite in favor of liberating black box data, and liberalizing use of traffic light and speed cameras. I just wonder why we have a bureaucracy named the NTSB, a society where the top killer of healthy people is in the transportation industry, and yet NTSB does nothing to improve the situation. 2. Rather than redesigning car doors to avoid dooring, why doesn’t Streetsblog lobby to design bike lanes out of the door zone? If a car is parallel parked, a cyclist riding in the door zone may not see a flashing rear light. 3. Some of the most infamous bike-truck collisions have been caused by bad design, such as coffin corner bike lanes. One cannot ask truck drivers to have eyes in the backs of their heads. Here, too, one wonders why we are putting band aids on a gunshot wound. We need better engineered solutions to remove the hazard rather than asking motorists to do unreasonable things in hazardous situations created by facility designers. If we put bike lanes where there are hazards, we need to engineer away the hazard (such as with traffic controls that immobilize conflict situations). Students of safety know that trying to ameliorate an unsafe situation with convoluted human controls is a lost cause. I would add that the NTSB should require bicycling-specific driver training in all 50 states, require periodic re-certification of motorists, lobby for universal grade school level bike-ed, and go on record to eliminate the all-reflector CPSC requirement, which lulls cyclists into riding unsafely at night. Redesigning car doors to avoid dooring has other advantages. It allows cars to be parked closer together in parking lots. It avoids door dings. It also avoids someone getting their door knocked off by a passing vehicle. If avoiding dooring was the sole redesign to redesign car doors then it wouldn’t make sense. Traffic controls are just another form of convoluted human controls which don’t solve the underlying problems. Humans make mistakes, so whether through error or deliberately, traffic controls aren’t obeyed 100% of the time, even by motorists. Moreover, as a group, cyclists will never consistently stop for red lights, unless the cross traffic is so heavy they can’t proceed. A better way is to just physically separate bikes and cars via grade separation in places where there would otherwise be conflicts. Yes, it’s more costly, but it’s a failsafe solution, while the other solutions are bandaids. Moreover, grade-separated bike roads free of motor vehicles, stop signs, and traffic signals tend to much more attractive to cyclists of all abilities than any other design. I would not stripe a bike facility into a coffin corner, period. What I meant by controls were things like controlled right and left turn traffic light cycles or separate bicycle green cycles. Of course that requires compliance, which is not compulsory in our traffic culture. Separated facilities seem to be the panacea. How do you separate facilities in a traffic grid? If facilities intersect, then you are separated, to paraphrase John Schubert, until the point of impact. A recent bike fatal in Montreal occured on a separated facility at an intersection. I think better designed infrastructure is a must, but so is bicyclist education. Well, I would argue that this (your lede) isn’t the issue exactly. FHWA publishes two fabulous printed and online “countermeasure identification and selection systems” for improving pedestrian and bike safety in response to specific types of accidents, called PEDSAFE and BIKESAFE. The problem is that at the local level most police departments (did you know that all police departments collect traffic crash data) don’t work with local DPW/DOT and Office of Planning personnel to systematically evaluate each crash and propose and implement improvements based on the analysis and the integration of PEDSAFE and BIKESAFE protocols into it. FWIW, when I wrote the bike and ped access plan for Western Baltimore County, Maryland, creating such an analysis system and program was one of the recommendations. 2. Although the biggest thing NTSB and CPSC could do would be to require the integration of front and rear lights into bikes, at least for city bikes (hybrid, cruisers, and others) not necessarily for racing and mountain bikes, and the possible integration of right and left turn signals into the rear light. But bike shops make a goodly amount of money selling accessories, so they aren’t into this as a requirement. THe other thing is that the National Highway Traffic Safety Administration pumps a lot of money to each state for traffic safety. I would argue that a lot of the advertising programs the various jurisdictions create aren’t very good, although some are excellent.